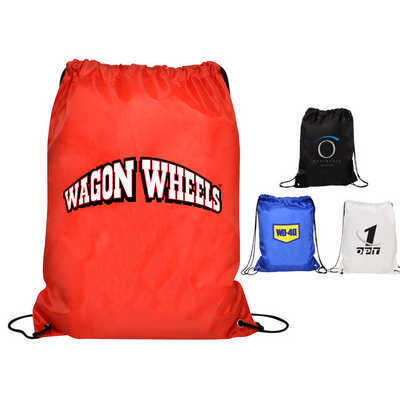 The Nylon Gym Backpack is ideal for any campaign or event especially sports promotions. It has two draw strings with reinforced eyelets for extra strength and huge imprint area to cater for any shaped logo. Material: Nylon Colours: White, Blue, Red or Black, Dimension: 320mm x 430mm. Price includes : 3 Day Service* Screen Print - One Colour/Location. Setup is included.